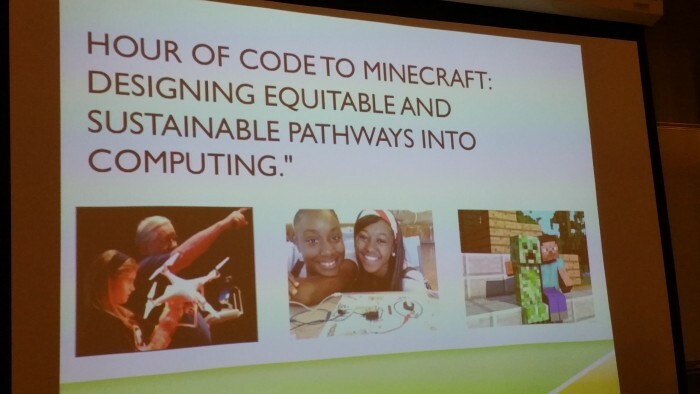 …Provide leadership for transforming education through the power of technology. OET develops national educational technology policy and establishes the vision for how technology can be used to support learning. 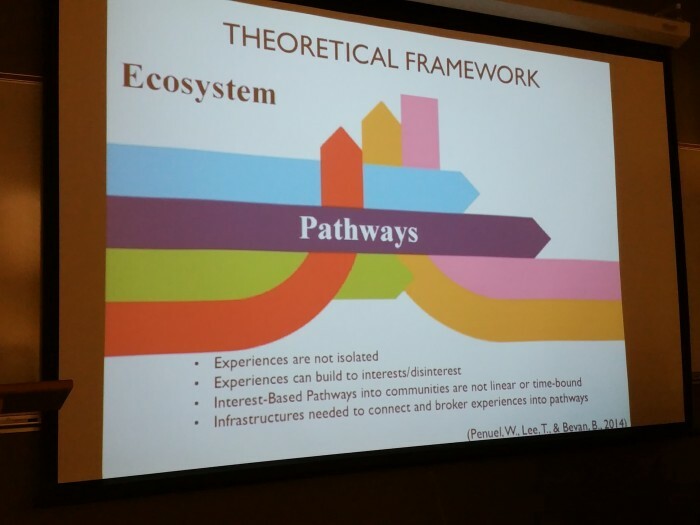 Secondly, OET highlighted Digital Youth Network’s Chicago City of Learning as an excellent model for connecting schools and community institutions. We’re super excited that progress and impact has been so great that OET wanted to tell everyone. 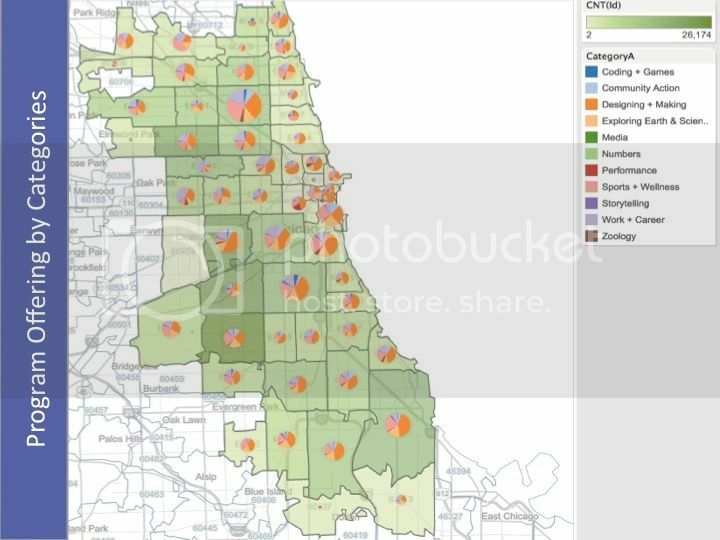 Footnote: Others can and should try to duplicate, replicate, and/or reverse engineer the unprecedented success that DYN has had in Chicago over the last two years. Why? 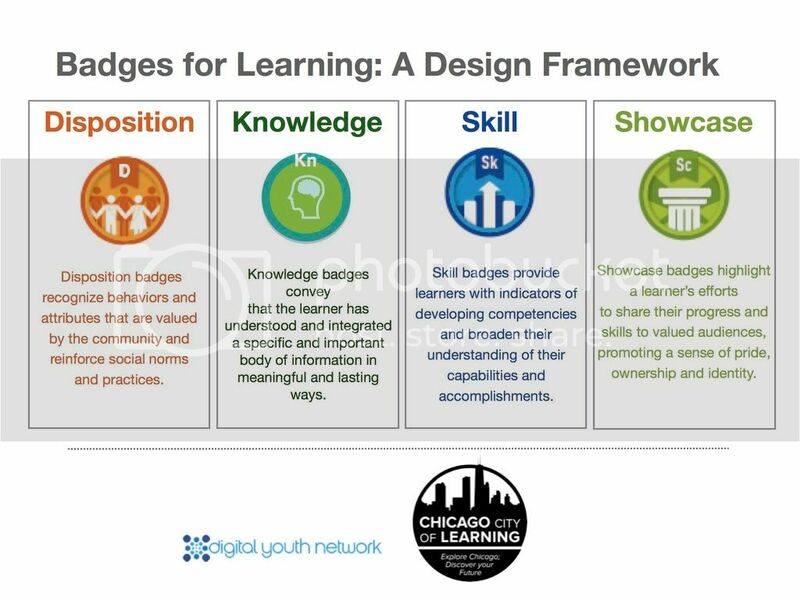 Because youth everywhere benefit from stronger, connected learning and valuable digital badges. 2016 is going to be the best CCOL year ever. Follow along to see just how amazing it gets. 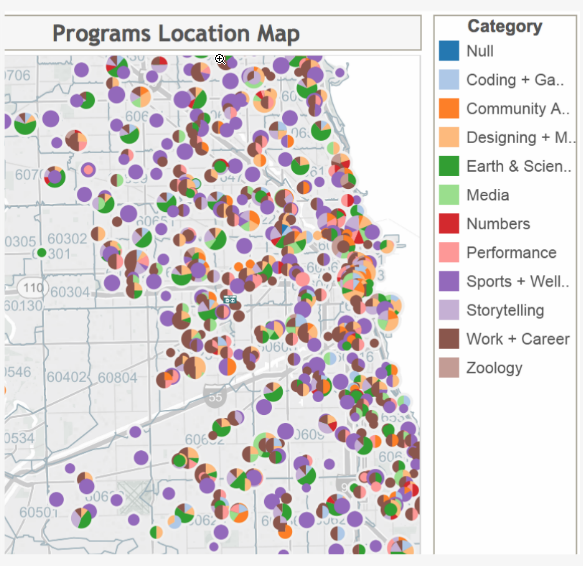 The Chicago City of Learning started with complex but connected objectives. 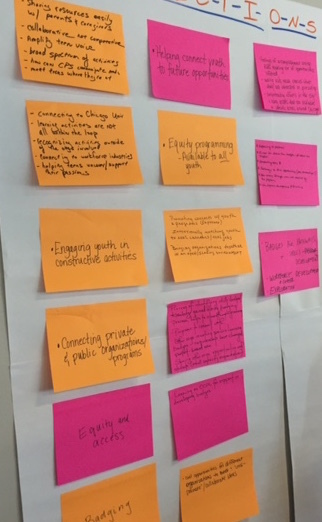 These objectives included building a platform that enabled every youth organization in Chicago to add their programming, creating a framework for identifying and badging skills in those programs, and designing an exploration interface for parents and youth to find programs to fit their schedule, skills, and interests. This alone would make two valuable apps. But another beneficial need pushed to the forefront once these features meshed: Highlighting the learner’s activities and skills. Helping the learner explore their interests with pathways. Appropriately, we built CCOL for the learner with community organizations as the primary opportunity broker. The tech team waited to iterate on the learner profile design. After so many ambitious organizations added over 17k programs and learners earned over 130k badges, the design team shifted focus to redesign the two year old user experience of the learner’s profile. We had our work cut out for us. DYN Tech started simple. 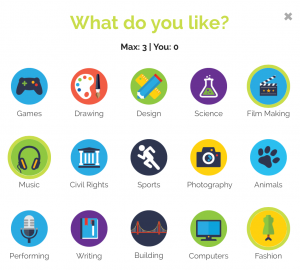 Get each student’s interest with a visual icon-based selection process. 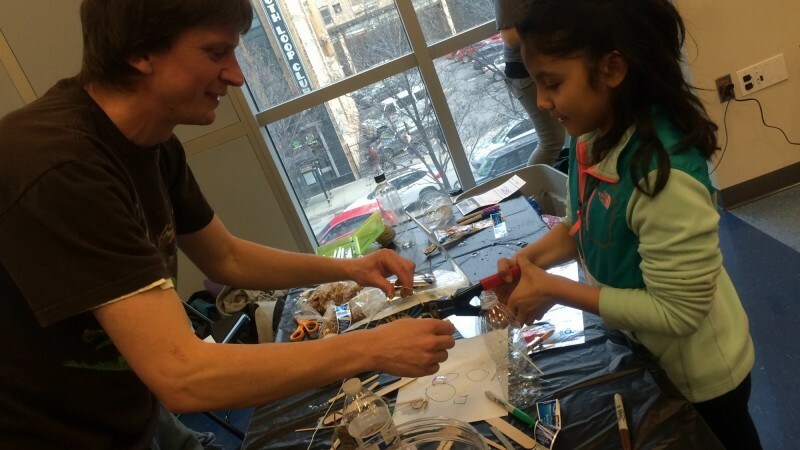 These interests came from our ground team that works with teens in the classroom and in afterschool programs. The images had to convey more than just the simple label beneath it. They each had to capture our learner’s imagination and hopefully spark their interest. We didn’t stop with three interests. 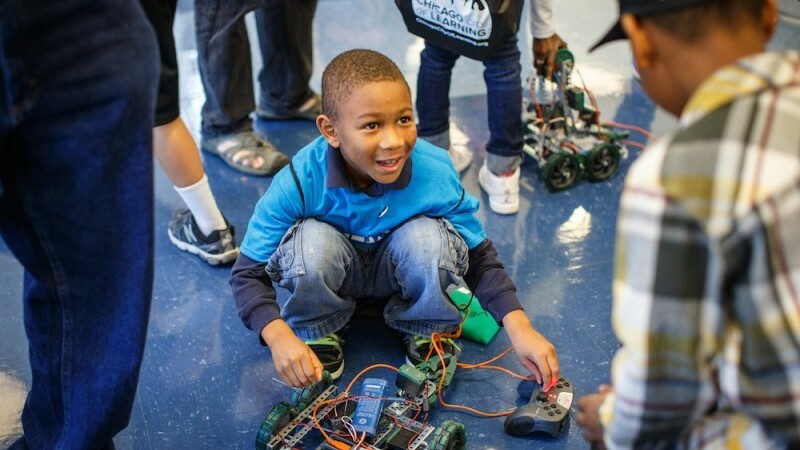 By designing a low friction process, we hoped our learners would be charitable and provide roles that captured their future interests as well. Roles are notoriously difficult because teens don’t always know what they want to be…when they “grow up.” However the process is quick enough that they can (and do) update it every time they change their mind. And just like that CCOL offers recommendations based on those selections. Second requirement: Show the skills and dispositions young people have developed in and out of school. Things I’ve completed. 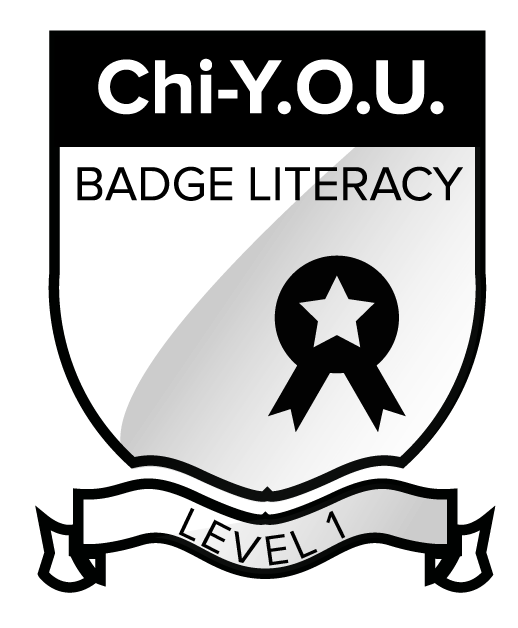 For our learners, we display badges they earned from our organization’s programs and our platform’s online challenges. As part of identifying their skills and dispositions, we show the learner programs or events they have attended. Now our users have a repository of things they have done or earned. The landscape of learning is evolving and digital badges will play a big role in the documentation of that learning. What I’m Working On. 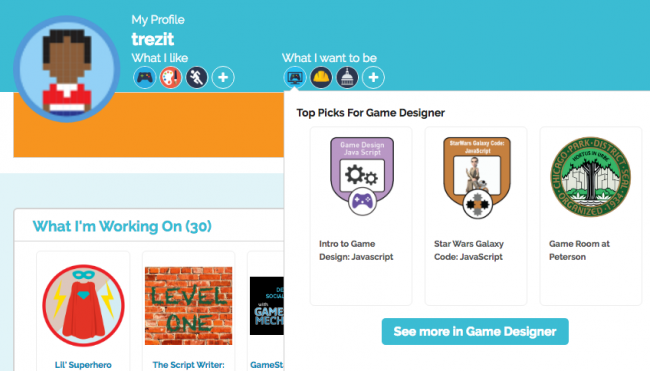 Our profile’s true call to action is nudging the learner to continue working on their skills. If a learner bookmarks a challenge, we have a card to remind them when they come back. Same reminder for a started challenge. If our learner starts a self-paced challenge but leaves before they complete it, we’ll add that to the Working On section as well. Our design increases the visibility of activities they want to do or started but didn’t finish. Finish these and our design shines light on your accomplishments which usually result in digital badges. Big step yet this is only step 1. Part 2 – engaged recommendations.